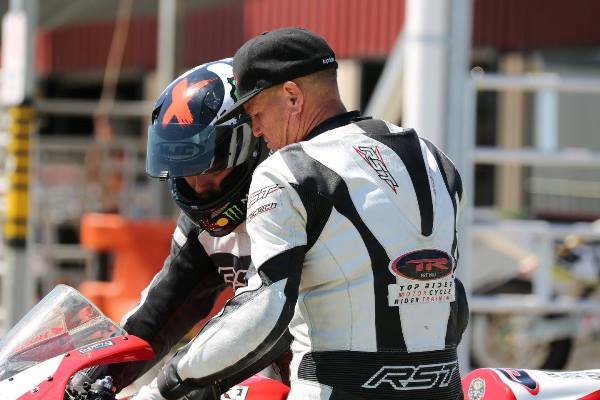 Selecting the right motorcycle trainer and/or company for you! I always ask my instructors to learn something new, whether it be climbing a mountain, hang gliding, jumping out of a plane, doing a triathlon, learning to cook or surfing – go and try something new! It’s so important for any trainer to expose themselves to the feelings of learning. Being emphatic to a learner’s needs is vital, and a professional trainer should place him/herself into the shoes of a learner whenever they are training. Recently, I walked into the local computer store, thinking I would buy a computer, computers are great! You can use them for face book, send emails and type letters! Ummmm yep that’s my limit, a bit embarrassing I know, please excuse me. Of course, a salesperson popped out of nowhere “can I help you” he barked out with some enthusiasm! These ones have those gigabytes and megabytes – they offer this and that (I missed everything after the gigabytes), I was too busy looking for my AERO guard! ha ha ha ha ha . I have no idea in this new digital world, lucky I have great skills in the motorcycle industry! I felt like a novice, in fact, I felt worse. The experience took me back to my pre-school class days, with that strong plasticine and poop smell, with miss Hail learning my ABC, it was a scary place for me both preschool and the computer store! I really get what it’s like to want something that is so cool, yet I had no idea of what I needed or required; the same as any learner on a motorbike would experience I am sure. HOW DO YOU KNOW WHAT YOU DON’T KNOW, IF YOU DON’T KNOW, WHAT YOU DON’T KNOW? Yep that sounds confusing, maybe even stupid! But it’s exactly how a learner feels – I get it! The answer is you DON’T KNOW, WHAT YOU DON’T KNOW until it’s too late! The difference between buying the wrong computer can be painful in a short-term way but the pain from getting it wrong on a motorcycle can be life-long! It really upsets me that new riders still get it wrong when there is some great education available! I know, because I have researched and developed motorcycle training programs over the past 32 years. Government agencies and Authorities Australia-wide that are responsible for making important motorcycle related education and licencing decisions, and legislation quite often get it wrong by not consulting with or employing experts like myself. We have had three major licencing changes in my state in my 32 years and I have never been consulted regarding them. I have run my Level 1 Advanced Rider courses for 32 years, and I am yet to have found a student that could pass through my basic level course without any help! I have never had to refund a rider because they had not learnt and enjoyed a basic level one course. In fact, our advanced course records show that 95 percent of advance course students holding a licence, could not stop a bike efficiently and we found the last 5 percent all improved their braking skills using our HUBS (Hattos Unique Braking System) braking teachings. I believe every rider on the road should have at least my level 1 skills – current road bike skills in Australia are appalling, a licence does nothing more than allow you on the road in Australia. It certainly doesn’t mean you can operate a motorcycle safely! Of course, you meet a range of skilled and unskilled people making comments; some great and some just downright wrong! I have been told by a licenced motorcycle instructor, that learners should be taught different skills, learners don’t have the same skill and knowledge and that they personally did training different for learners because they could make mistakes! I know this would sound feasible to a learner making an enquiry into obtaining some training services, but let me assure you it is so wrong on so many levels! After examples were given to me on others poor instructing skills; for example: teaching students to pull the clutch straight away in case the throttle gets stuck open. My inner thoughts were “why not take the time to teach the most important part of riding a motorcycle called THROTTLE CONTROL!”. When you have been trained with an incorrect method, it takes at least 800 times to practice a new skill and get rid of the old one! Hearing these statements makes me seethe inside. However, over the years there has been plenty more similar statements to come from people who truly believed they are doing the right thing. Another example is: when stopping your motorcycle keep your handlebars straight or you will fall over! This is the biggest piece of crap! I successfully debunked this way back in 1985, when I started. Understanding handlebar movement when your wheel stops is critical! Apart from an awesome opportunity to start an initial basic layer of steering geometry instruction. Another statement that gets me burning inside is when trainers teach pulling the clutch as soon as you brake. We have data that shows the effect of this stupid instruction and how dangerous it really is. Learners pay the same for motorcycle training as experienced riders – why are they not entitled to the world’s best training techniques? When will you teach a learner rider the correct riding techniques and when are they no longer a learner? When do they finally get to learn the proper way to handle a motorcycle? Given the motorcycle is a piece of engineering that has no personality and will operate the same way day in, day out, surely, we can teach a simple system of control that deals with the motorcycles basic handling and the variables we will encounter on our rides. 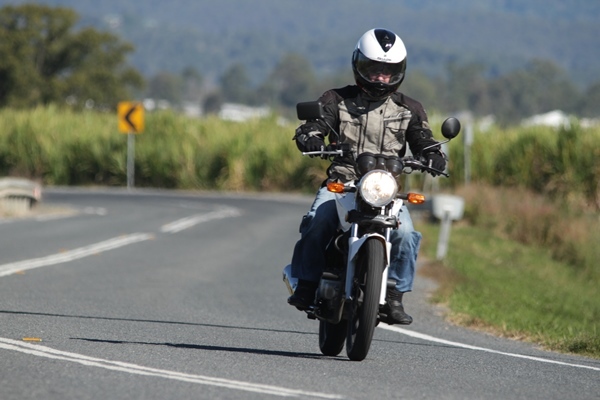 A professional instructor will limit the exposure to where the rider rides, rather than teach false training methods. 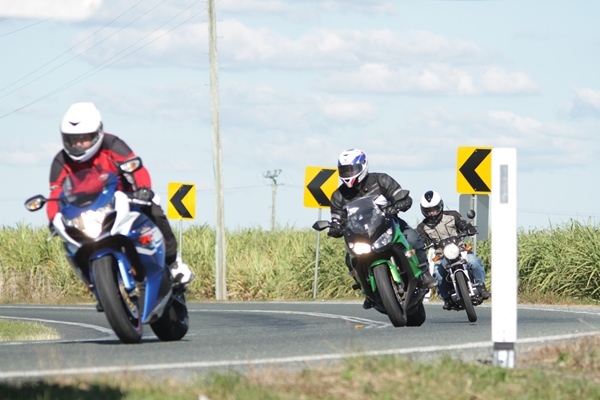 Learners are easy to train, they are a blank canvass and if done correctly can be better than an experienced rider in terms of motorcycle riding skills as they do not come with bad habits. 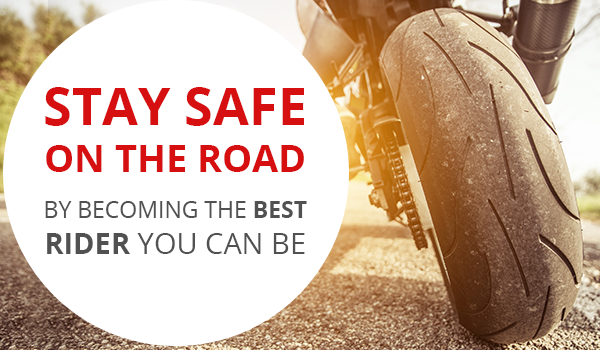 Learner’s skills including: bike handling, motorcyclist psychology, road craft, maintenance and attitude are in depth and require a thorough training program. Take the time to teach the simple essential basics and there will be a quicker more efficient training program that layers up so the learner can eventually become a top rider. We have data that shows the best way a motorcycle performs in a range of manoeuvres which supports correct training methods. The rider training industry experts do constant research and development of full rider training. The rider training industry is the industry that should control the level of competence of an instructor not the education or transport departments of the governing bodies. A rider training association is needed. I have some great news, the Australian rider training industry has been established, which is important to everyone from the top to the bottom. Instructors will have an association that is interested in creating their best learning outcomes for new riders and the production of world’s best motorcycle training package. An industry association that will set out world’s best instructor training programs and student trainer programs that governance can go to for the best training, licencing and assessing standards. 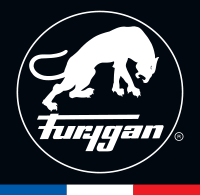 The man behind our much-needed association is a man called Steff Gard, who is a passionate motorcyclist. The crazy Swiss born motorcyclist rides a BMW R1200gs and he has done a lot of kilometres on two wheels around our planet. He lectures architecture at the Brisbane QUT and in his spare time became a motorcycle instructor and loves training motorcycle riders. You can contact Stef Gard through his Facebook account or simply go directly to the Australian Rider Training Association Facebook account. Training can happen in a group or one-on-one. I believe small groups of 5 are the optimum. Groups are great as it allows students to share their experiences with their peers on the day, creating long relationships. One-on-one tuition may really help students that are struggling. A great motorcycle trainer, coach, instructor and mentor will make it about an overall experience where you are fully engaged in the day and are keen to come back and do more and more. The trainer will be able to modify the drills for the not so skilled and at the same time add for the skilled ensuring all five receive full attention. I have been instructing for 32 years and have had 3 different generations come back as individuals and in groups! They loved their day and have gone on to become my walking evangelists – they preach my learning and recommend my services. I have developed a guide outlining the 110 most common mistakes made by motorcyclists! This will soon be available to download on the Top Rider website. Use this as a template to determine whether your mate or training company is of standard and someone you should be investing your learning time with. Beware there are some of the large industry driven motorcycle schools, i.e. motorcycle shops that run their own motorcycle school. These schools are about selling motorcycles – their core business is not about training, it’s about selling the motorcycle! The quality of training is not the same as a company like Top Rider who’s core business is rider training. Remember if you are not paying for the education you have to ask yourself at what cost? Rider training programs will help you become the best rider you can be. Well I hope this blog has helped you! I suggest you do some research and I look forward to seeing you on two wheels!